Unlike type 1 diabetes, type 2 diabetes is a condition of abnormally high blood sugar level which occurs majorly due to the body resisting its own insulin against driving glucose into the cells. This means the body produces adequate insulin but at the same time prevents this insulin from doing its work. Moreover, as time goes on and without treatment, the organ producing insulin will get tired, leading to inadequate insulin production which also contributes to the high blood sugar level. Type 2 diabetes mellitus usually occurs in people in their late 30’s and early 40’s. However, it can also occur, but less commonly, in younger people and even children. 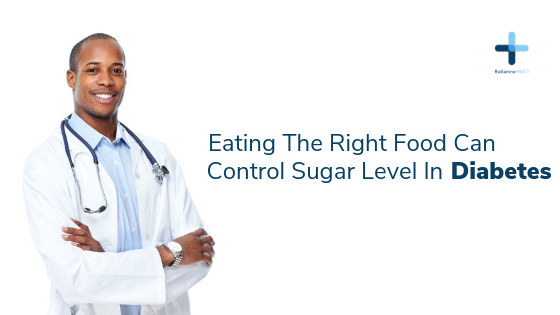 The management of type 2 diabetes mellitus is not complete without a proper meal plan as this will ensure the body is not overloaded with sugar that can lead to complications, both immediately and later. In addition, it also helps people with type 2 diabetes lose weight as fat in obesity is a major cause of the body resisting its own insulin function of driving glucose into cells in this diabetes type. A diabetes meal plan entails eating 3 meals every day at regular times. It also means eating the meals in quantities that suit the person’s weight and level of physical activity. Hence, a doctor and a nutritionist are usually involved in working out the right meal plan suitable for the person with the disease. The commonest meal plan recommended by doctors and nutritionists is known as the plate method. The plate method means dividing your eating plate into 3 portions: one-half and 2 quarters. The one-half should contain vegetables; one quarter should have protein, and the last quarter filled with whole grains or a starchy food. These 3 portions can be sourced from the local foods with the guidance of a registered nutritionist. Therefore, it is important anyone diagnosed with type 2 diabetes mellitus makes out time for a comprehensive counselling session with a diabetes specialist doctor (called an endocrinologist) and a human nutritionist on how to create his or her 3-portion meal plan. Foods rich in fibre such as whole-wheat flour (can be used as swallow). Beans, fruits and vegetables are also rich in fibre. Boiled fish: this includes cod, sardines, tuna. Food rich in monosaturated and polyunsaturated fats such as avocados, peanut oil. Food high in bad cholesterol such as egg yolk (eat only the egg white), liver and other organ meats. Food rich in saturated fats such as beef, hot dog and sausage should be avoided. Processed/canned food and snacks, margarine, fried fish or meat. And salt intake should be drastically reduced.